TOSIBOX® Lock 500 has been nominated for the Control Engineering 2019 Engineers' Choice Award in the Industrial Internet of Things Connectivity category. Last time we received an Honorable Mention for TOSIBOX® Virtual Central Lock in the same contest. TOSIBOX® Lock 500 is the company’s new flagship product that has entered the global market earlier this year with high demand. The full-featured connectivity device brings unprecedented possibilities for customers to manage their operations and to build new IoT solutions. 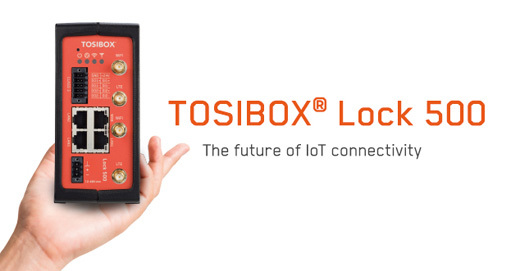 Not only is the TOSIBOX® Lock 500 ideal for demanding industrial environments, but its additional options and performance opens new opportunities in security and corporate networking sectors.